Have you ever cooked spaghetti for eight when all you needed was spaghetti for two? 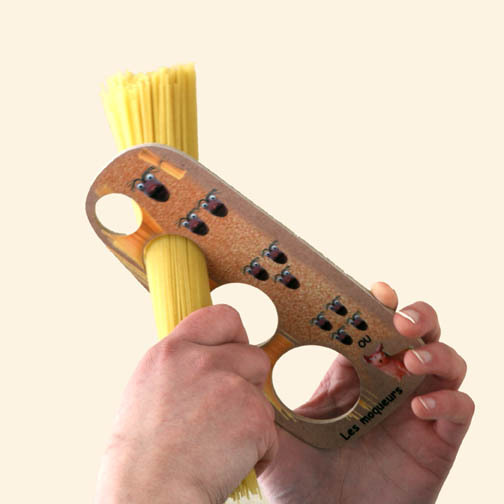 The spaghetti measure is a must in every kitchen. This simple tool helps you measure exactly the portions you need. And it will always be at hand : because of its magnet, you can pop it on the fridge. The spaghetti measure shows portions for 1 to 4 persons or for a pig...!